text := mü-nest x PLOP special collaboration series vol. 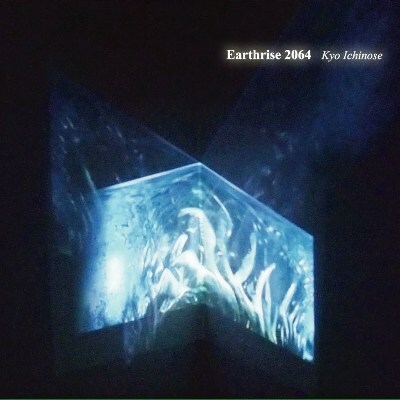 2: "Earthrise 2064" by Kyo Ichinose. "And we are put on earth a little space..
That we may learn to bear the beams of love." mu-nest and PLOP are proud to present you, the long-awaited 4th album by the talented Japanese composer, Kyo Ichinose: the “Earthrise 2064”. This stunningly beautiful album, which is highly recommended by Ryota Nozaki (of Jazztronik), Junichi Konuma (one of the most influential music critics in Japan), Akira Kosemura (Schole label head), was inspired by the moving quote by English poet, painter, and printmaker William Blake: "And we are put on earth a little space that we may learn to bear the beams of love". This exquisite album is produced by Ichinose with the holistic theme about the rise of the earth, from the outsider perspective, viewing from outer space. It enfolds the views about the future and the past, and encapsulated them into sounds that delivered from somewhere very far away. As in his previous albums that have received rave reviews around the globe, Ichinose uses his trademark piano and orchestral instruments as the main foundation to construct this distinctively beautiful world. This time, Ichinose even invited Tomoko Kanda (Ex - Anonymass) to feature her crystalline female vocals in this album, in order to better portray the inspiration he drew from the Romantic Age icon, William Blake. Welcome to Kyo Ichinose’s world, of “Earthrise 2064”.